LED—Light Emitting Diode—therapy was originally developed by NASA to help Navy Seals recover from their wounds and regenerate muscle. However, it wasn’t long before researchers discovered its unique therapeutic benefits in the world of cosmetic skincare—namely that certain frequencies of light reduce fine lines and wrinkles, stimulate collagen production, and increase new tissue growth. LED light therapy is a noninvasive, anti-aging procedure that light deep into the skin’s layers. It triggers cellular activity to allow the skin to heal and rejuvenate. 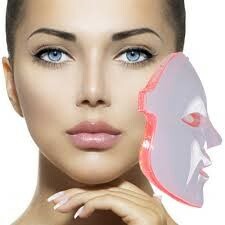 LED therapy is appropriate for facials and for other areas of skin. The color of the light determines the treatment affects. Red combats wrinkles and increases collagen product for smoother, younger looking skin. Green balances skin complexion for more naturally looking skin. And, blue eliminates acne-causing bacteria and assist with acne reduction.